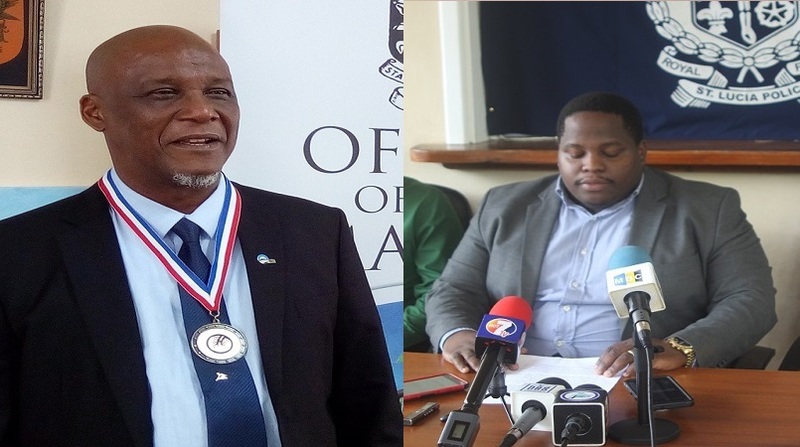 Castries Mayor Peterson Francis has hit out against Travis Chiquot, President of the Police Welfare Association (PWA) saying that Chiquot is encouraging criminality in the country. “All that Chiquot is doing is to give the criminals the upper hand. He is just encouraging criminality in this country,” Francis said. Francis’ verbal assault was in retaliation to Chiquot’s take on the Castries Constituency Council’s bill that was passed in both houses of parliament last week that gives City Police island wide powers of arrest and seems to put them on the same level as officers of the Royal Saint Lucia Police Force. Chiquot and other members of the PWA are not pleased with the legislation and have said so publicly. Even Police Commissioner Severin Monchery said he had some concerns about the bill, concerns that saw himself, the Attorney General and the Minister of National Security and Home Affairs discussing them amongst themselves. 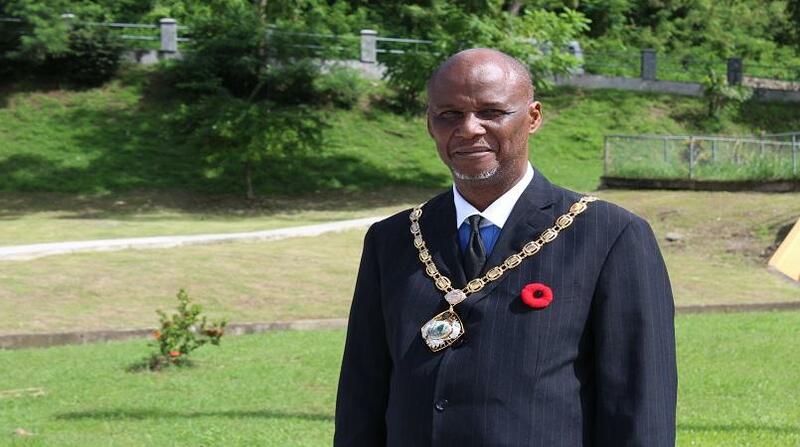 Mayor Francis, at a press conference on Wednesday, April 3, 2019, addressed some of the jabs Chiquot took at the Council, calling the remarks “irrational and juvenile”. However, Francis was quick to point out that his verbal attack was on Chiquot alone and not on the Royal Saint Lucia Police Force. “This press conference has nothing to do with the police force. I commend the police commissioner for trying his utmost to see that Saint Lucia is safe. But I have to take issue directly with the president of the PWA. I know the political season had started and I expect certain people to be in the forefront now,” Francis said. “I want to address where the president of the PWA made allegations that the mayor’s office is now seeking funds, in the sum of US$200,000, the president said he was reliably informed. Now I know why we have so many problems in solving crime. Bring the evidence. I am calling on the president of the PWA to give us the proof where he could justify that we are getting US$200,000 and that we will hire six to eight Trinidadian officers to do training,” Francis said. 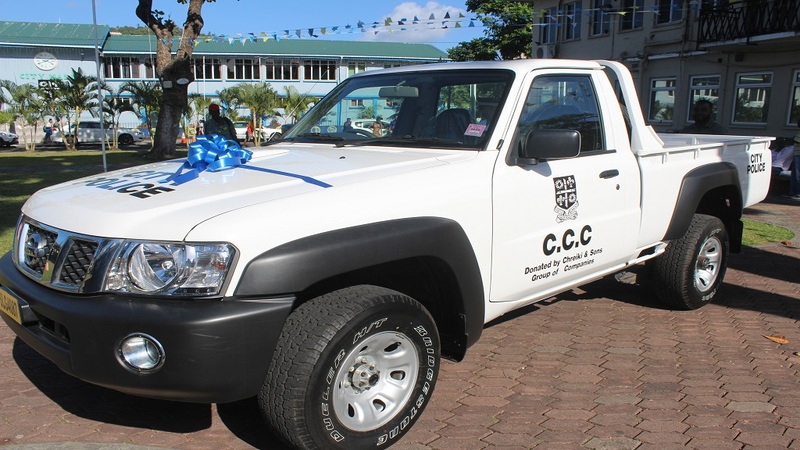 Mayor Francis did not deny the Council was seeking funds to train City Police adding that it had to do so because getting members of the city constabulary to be trained with ordinary police officers, as was done with the first batch of officers, was not possible. He admitted though that to date the Council has not settled on the amount of money it would need for the training but is in discussion with an entity. He added that should the training come from Trinidad and Tobago, it would be free. 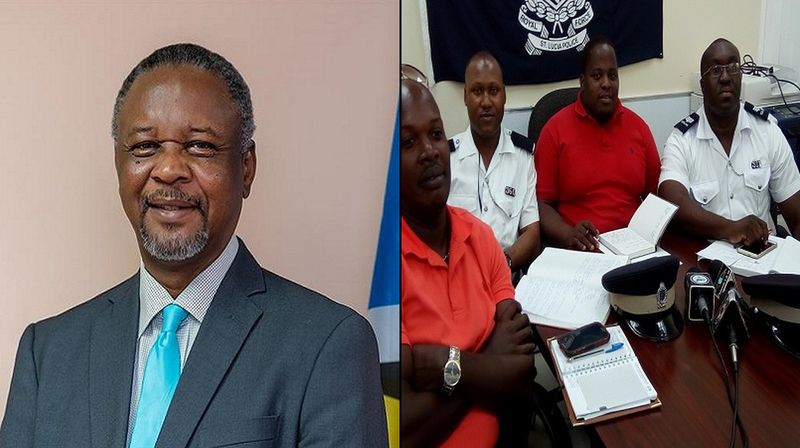 Francis’ focus on the twin island state centres on a recent trip he had there where he met with influential people including the Mayor of Port of Spain and the country’s police commissioner. He said he came back to Saint Lucia with ideas gleaned from that trip, ideas he would like to see implemented in the City of Castries and within the City Police. Francis took on Chiquot for saying that the Council wants to bring in its own canine unit, lamenting that he and the Council are seen as competing against the police force. “We will do anything that will improve the efficiency and the detection rate of crime in the city,” Francis said in response to the question whether he intends to or already has decided to introduce a canine unit to the city constabulary. He wants Chiquot and the rest of the ordinary police officers to understand that the City Police are officers of the law and not officers of the Castries City Council and as a result, they are there to uphold the law throughout the country. The Castries Constituency Council Bill has sparked debate throughout the country both on day time and night time talk shows with police officers expressing disappointment with certain sections of it. Section 25 of the bill has also proved controversial. It states that the Commissioner of Police may, on the advice of the Castries Constituency Council, permit persons appointed to be Castries City Police to wear the badges of the ranks and uniforms similar to those worn by members of the respective ranks in the Royal Saint Lucia Police Force. Another contentious section, 27 of the bill, states that a Castries City Police, in addition to the special powers vested in him or her under this Act, has in respect of the whole of Saint Lucia the powers, privileges and immunities conferred on a constable by the Common Law, and the powers, privileges, immunities and liabilities conferred or imposed on a constable of corresponding rank by the Police Act, Cap.14.01. Sparking controversy as well are sections 28, 29 and 30.